An automated SMS appointment booking system from ProcessFlows improves the way that the Royal Free Hospital communicates with its patients. The Royal Free Hospital was founded in 1828 to provide free hospital care to those who could not afford treatment. The title ‘Royal’ was granted by Queen Victoria in 1837 in recognition of the Hospital’s work with cholera victims. It now specialises in cancer, neurosciences, HIV and liver, kidney and bone marrow transplantation. Patients needing to make an appointment for treatment in the Hospital’s Sexual Health Clinic were reporting a queue of up to 20 people waiting at any one time, whilst Department of Health directives require the clinic to offer all patients appointments within 48 hours. 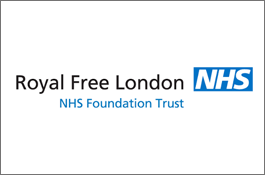 The Royal Free deployed the services of Softcare Medical, a London based software developer and Healthcare Management Services Company, to provide a text based appointment system to automate the appointment making process. This would enable the automatic booking of appointments over a 48 hour period. Operated by call centre and/or text message, the system can provide a comprehensive booking service for all future appointments. Appointments may be booked by phone call, text message, or by a browser interface. Booked appointments and available slots are uploaded from the system to the clinic software each half day. The service operates when the clinic is closed, by making available slots over the following 48 hours available by SMS booking or via a web page. Booked appointments and available slots are uploaded from the system to the clinic software at the start and end of each working day. Patients are given a specific dedicated number to text. This allows appointment data to be monitored and statistics produced on demand for the Department of Health. Individual dedicated numbers indicate different clinics and services, making them easy to identify. Patients are offered three appointments over a 48 hour period by text. He/she is then able to respond and select the most convenient appointment. Their mobile number is used to generate a temporary patient reference number and the appointment is simultaneously confirmed by text, with a booking reference. When the patient attends the clinic, the patient number and booking reference is then confirmed. SMS has not only bought automated booking to the Hospital’s clinics, but also provided a quick, confidential and discrete method of booking for its patients.